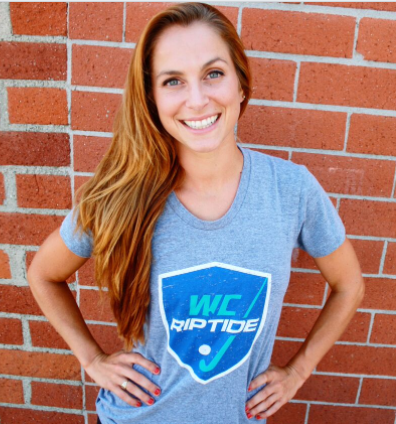 Taylor Swezey is the club owner and head coach of WC Riptide. She played at the University of Virginia on a full athletic scholarship, she was a high school All-American, and she was a member of the U16 US National Team. She is the assistant coach for the Varsity team at Harvard Westlake in Los Angeles and the 7th grade coach for the HW middle school team. She grew up playing for the Mystx Field Hockey Club outside of Philadelphia. Her mother is in the Hall of Fame at La Salle and both of her parents coach for Mystx and Hatboro Horsham HS. Her younger sister, Casey, is a Junior on the Princeton Tigers field hockey team as well as the Tigers lacrosse team.